In addition to the unspeakable cruelty perpetrated dog meat trade is also a serious threat to human health. Dog farms are hotbed for infectious diseases. Since there is no disease control these dogs suffer from diseases from highly infectious and transmittable bacteria, virus, ectoparasites, endoparasites, and fungi. Out of 165 dogs bred at a dog farm in Seoul area, 83 dogs(50.3%) were infected with endoparasites and 23 dogs(20.2%) were infected with heartworm. Puppies suffer from malnutrition because they are fed rotting food waste (infested with pests such as rats, cockroaches, flies..) after being weaned. In order to hide from the law and civil complaints, most dog farms are located in remote areas where sun is scarce causing vitamin D (necessary for bone growth) deficiency. Locked in cages for months, dogs are bored and stressed from being packed with other dogs and constant stench. Stress hormone weakens their immune system and they become susceptible to hormonal diseases such as hyperadrenocorticism. Antibiotics, antidiarrheal and steroid are used to control measles, parvovirus, various respiratory and digestive diseases but abuse of drugs led to tolerance against antibiotics and relevant innate problems. In some cases, 10 times the normal doses were being administered by the farmers themselves without the supervision of veterinarian. There is no appropriate animal-protection legislation to prevent the animal cruelty currently taking place in S. Korea. As someone who believes strongly that animals should not be treated in this way, I request to you, OIE, to investigate and address this issue immediately. Please urge S. Korean Government to strengthen the Animal Protection Law to prevent animal cruelty and to introduce basic animal-protection regulations. It must also provide penalties for violations and ensure that mistreated animals can be legally seized from abusers and given immediate refuge. 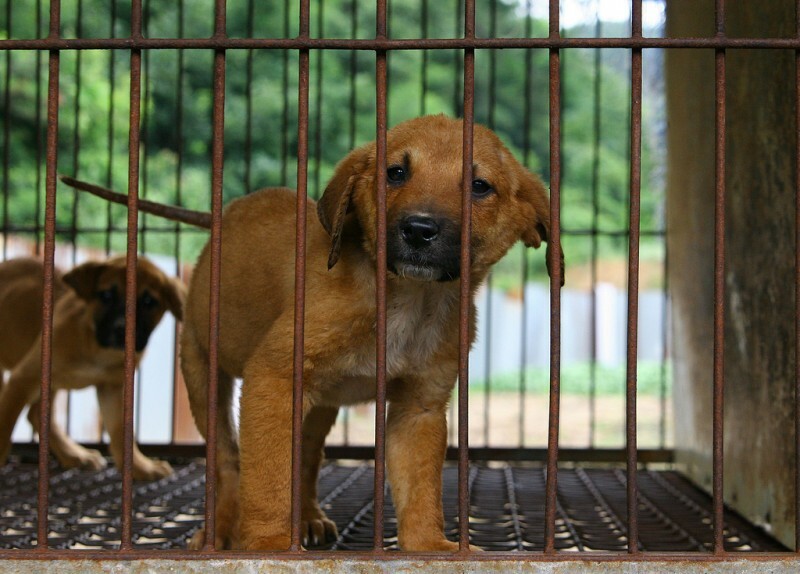 I request that OIE strongly urge S. Korean Government to create an enforceable law to ban the torture, killing, sale, and consumption of dogs and cats. Please don’t let the S. Korean government get away with this outrageous cruelty to companion animals.